Persistent infection with human papillomavirus (HPV) is a necessary cause of cervical cancer, resulting annually in 274,000 deaths worldwide. Two prophylactic HPV vaccines are licensed in >100 countries, and immunization programs in young, adolescent girls have been widely implemented. HPV-16/18 AS04-adjuvanted vaccine (Cervarix®; GlaxoSmithKline Biologicals, Rixensart, Belgium) has demonstrated type-specific protection against the five most frequent cancer-causing types (16, 18, 31, 33, and 45) that are responsible for 82% of invasive cervical cancers globally. Cervarix® has demonstrated efficacy against HPV-45, which is the third most common HPV type in cervical cancer and adenocarcinoma. Final results of a large phase 3 trial recently showed Cervarix® substantially reduced the overall burden of cervical precancerous lesions (cervical intraepithelial neoplasia 2+) by 70.2% in an HPV-naïve population approximating young girls prior to sexual debut, the target of most current vaccination programs. Protection offered by Cervarix® against nonvaccine types (mainly 31, 33, and 45) might potentially allow for 11%–16% additional protection against cervical cancers, compared to a vaccine only offering protection against HPV-16/18. Another recent study directly compared the antibody response of Cervarix® to that of quadrivalent HPV-6/11/16/18 vaccine (Gardasil®; Merck, Whitehouse Station, NJ, USA). Cervarix® induced significantly superior neutralizing antibody levels as compared with Gardasil® for HPV-16 and HPV-18 in all age groups studied. This may translate into more women having detectable (neutralizing) antibodies in cervicovaginal secretions for HPV-16 and HPV-18 after vaccination with Cervarix® when compared with Gardasil®. Cervarix® induced significantly higher frequencies of antigen-specific memory B-cells and T-cells in responders for HPV-16 and HPV-18 as compared with Gardasil®. Cervarix® continues to show sustained high levels of total and neutralizing antibodies for HPV-16 and HPV-18, 7.3 years after vaccination. This is associated with high efficacy and no breakthrough cases in the HPV-naïve population, and is the longest duration follow-up for safety, immunogenicity, and efficacy for any licensed HPV vaccine to date. De Carvalho N, Roteli-Martins CM, Teixeira J, et al. Immunogenicity and safety of HPV-16/18 AS04-adjuvanted vaccine up to 7.3y. Presented at: International Papillomavirus Conference; May 8–14, 2009; Malmo, Sweden. Available at: http://www.hpv2009.org/Abstractbok_hela%20webb%20low%5b1%5d.pdf. Accessed November 17, 2009. De Carvalho N, Roteli-Martins C, Teixeira J, et al. 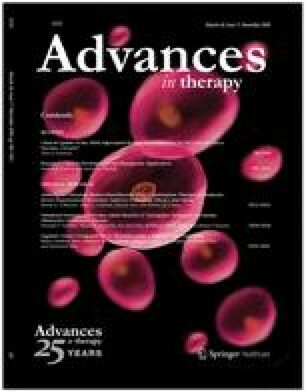 Sustained immunogenicity and efficacy of the HPV-16/18 AS04-adjuvanted vaccine (Cervarix™): follow-up to 7.3 years. Presented at: 16th International Meeting of the European Society of Gynaecological Oncology (ESGO); October 11–14, 2009; Belgrade, Serbia. Available at: http://www2.kenes.com/ESGO/Documents/Abstract_Book.pdf. Accessed November 17, 2009. Gardasil® prescribing information. Whitehouse Station, NJ: Merck and Co. Available at: http://www.merck.com/product/usa/pi_circulars/g/gardasil/gardasil_pi.pdf. Accessed September 9, 2009. Skinner SR, Apter D, Chow S-N, et al. Cross-protective efficacy of Cervarix against oncogenic HPV types beyond HPV-16/18. Presented at: International Papillomavirus Conference; May 8–14, 2009; Malmo, Sweden. Available at: http://www.hpv2009.org/Abstractbok_hela%20webb%20low%5b1%5d.pdf. Accessed November 17, 2009. European Medicines Agency. Assessment report for Gardasil: post-authorisation evaluation of medicines for human use. 2009. Available at: http://www.emea.europa.eu/humandocs/PDFs/EPAR/gardasil/Gardasil-H-703-2-06-AR.pdf. Accessed September 9, 2009. Schwarz TF, Descamps D; on behalf of the HPV Adolescent Study Investigators Network. Long-term safety and immunogenicity of an AS04-adjuvanted cervical cancer vaccine in girls aged 10–14 years. Presented at: 26th Annual Meeting of the European Society for Paediatric Infectious Diseases; May 13–16, 2008; Graz, Austria. Available at: http://www.kenes.com/espid2008/program/ViewAbstract.asp. Accessed November 17, 2009. Poppe WAJ, Paavonen J, Naud P, et al. Vaccine efficacy with/without evidence of prior HPV-16/18 infection: analysis of PATRICIA, a phase 3 trial with AS04-adjuvanted HPV-16/18 vaccine. Presented at: 16th International Meeting of the European Society of Gynaecological Oncology (ESGO); October 11–14, 2009; Belgrade, Serbia. Available at: http://www2.kenes.com/ESGO/Documents/Abstract_Book.pdf. Accessed November 17, 2009.